Proudly display up to 12 of your most cherished recovery tokens! 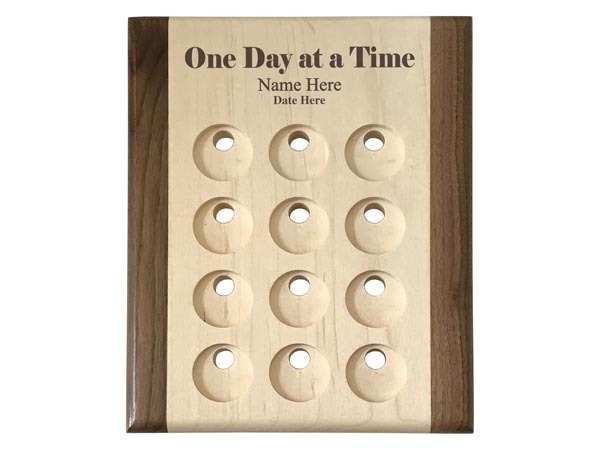 Each of these beautiful chip holder/display plaques features 12 spaces for mounting special medallions. 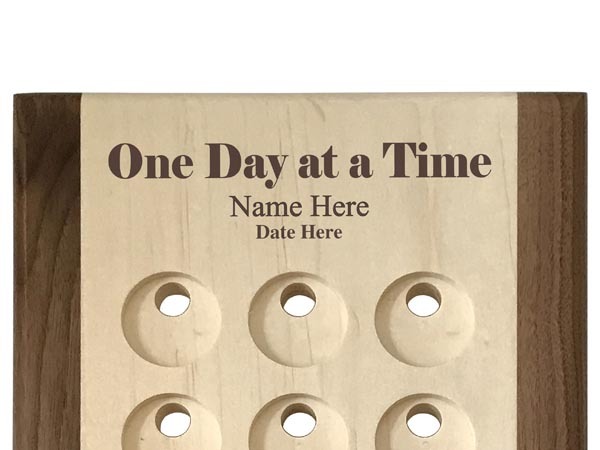 Your name and recovery date are expertly laser engraved at the top of the plaque along with "One Day at a Time." ...a WoodenUrecover exclusive! What a wonderful way to display your recovery medallions! 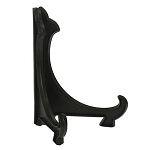 Consider one of our Display Easels for displaying your medallion holder on a shelf, table, or desk!